Garlic is the common ingredient in spice in India called as (Garam Masala). It is the well known natural health remedy that is used in the cure of various disease. It can easily be mixed with the food ( Breakfast, Lunch, Diner etc. ). It can be available into the market in different forms like Powdered Garlic, Garlic Pills, Garlic Capsules, Garlic Tablets & Garlic Oils etc. According to the latest research the it is confirmed that there is health benefits of garlic over human body. It contains a compound called Allicin (1) which have medicinal properties. It is highly nutritious and have low calories. Garlic is beneficial in sickness including common cold. The nutritious supplement of garlic prevent & reduce the severity of common illness like flu & common cold. 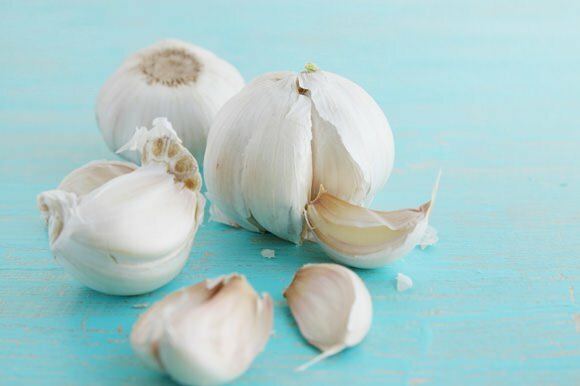 This benefit of eating raw garlic increases the immune system. Garlic reduces the Blood Pressure. The high dose of garlic appear to improve blood pressure of those who suffer high blood pressure & is effective as regular medication. Garlic reduces the risk of Heart Disease. Garlic reduces the cholesterol level from about 10% to 15%. Garlic does not appear to lower triglyceride levels, another known risk factor for heart disease. ( 3 , 4 ). Garlic Help to prevent Alzheimer’s Disease and Dementia. The garlic supplement contains antioxidant & antibiotics which provide a cover against oxidative damage. This also increase the antioxidant enzyme in human and reduces the stress level. Garlic helps in the treatment of Fungal and bacterial vaginal infections. Crushed garlic releases the Allicin which is sulfuric compound that is natural antibiotics. This antibiotic property of garlic help in the treatment of the Fungal and bacterial vaginal infections. Garlic help in the prevention of multiple types of cancer. Garlic contains the vitamin B6 which have cancer fighting abilities. Garlic Help in strengthens the immune system. The regular eating of garlic increases the immune system which help in fighting the chest infections, coughs and congestion.